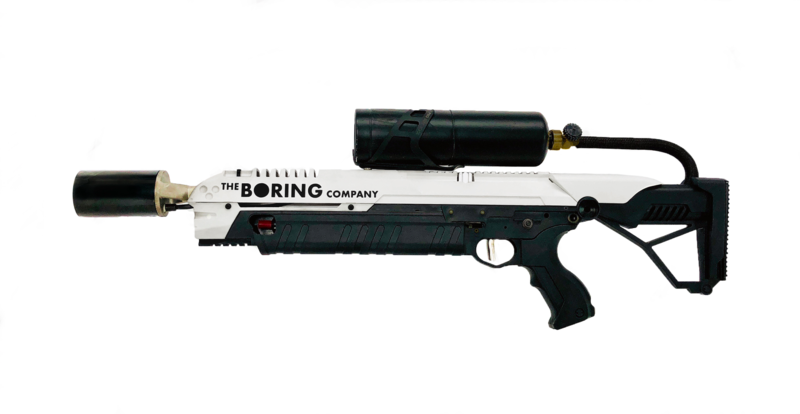 Elon Musk sold these Boring Company flamethrowers for $500. Elon Musk (AKA Elongated Muskrat) is an accomplished billionaire and CEO of Tesla and SpaceX, and if you’re not following him on Twitter, you’re missing out. Musk is a talented businessman, thinker, and inventor with a net worth of 21.4 billion USD, and he is having way too much fun with all his riches. Musk has the special talent of thinking of both revolutionary ideas and inventions, while also just making stuff because he wants to. Recently, Musk was frustrated with L.A. traffic so he started a company for tunnel infrastructure to allow for underground transport with many small stations the size of a parking spot. This idea could really help traffic and Musk showed a very promising concept video of the stations. So what does Musk decide to name this new company? The Boring Company. Musk even named the device used to dig the tunnels a TBM or Tunnel Boring Machine. Even more recently, Musk decided to add a new product to his Boring Company, a flamethrower. Now you may be wondering what purpose the flamethrower serves for the company and why Musk decided to sell them to the public. Well, the answer is absolutely no purpose and just because he wanted to. This is definitely the coolest thing that could’ve come from company called the Boring Company. Musk promoted the flamethrowers on his Twitter saying, “When the zombie apocalypse happens, you’ll be glad you bought a flamethrower. Works against hordes of the undead or your money back!” Musk then had to defend himself in another tweet, “The rumor that I’m secretly creating a zombie apocalypse to generate demand for flamethrowers is completely false.” He sold out all 20,000 flamethrowers within a few days and then clarified that each flamethrower would be shipped with a “complimentary boring fire extinguisher.” When he came in trouble with custom agencies not allowing shipment of something called a “flamethrower,” he renamed the product “not a flamethrower.” Musk’s blend of genius and humor is what makes him so good at promoting his products. Elon Musk is also the founder and CEO of Space Exploration Technologies Corp., or SpaceX. SpaceX is a private American aerospace manufacturer and space transport services company with ambitious goals such as colonizing Mars. Even with this serious company searching for the future of human civilization, Musk still finds some way to have some fun. In his recent SpaceX launch, Musk decided to add some extra cargo to the ship, his personal car. Yes, he really just put his car in space because he could and even posted a picture on Twitter of his car orbiting Earth. “I mean when you’re able to launch a car into space you are bound to do something special in this world. I can’t wait to see what this guy does next man,” says senior Jake Castle. Musk is a billionaire with many revolutionary ideas and he’s having fun with all of them, I’m excited to see what revolutionary new idea or just crazy antics he comes up with next.